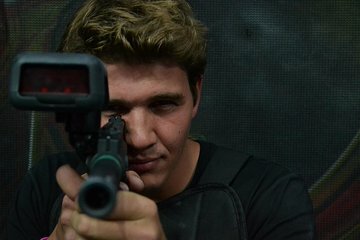 Gather your team and enjoy an adrenaline-pumping session of extreme gaming on this 1-hour ‘Heroblast’ laser tag adventure in Queenstown. Pull on your specialised Hero glove and chest pad, then choose an every-man-for-himself gameplay style or work as a team to defeat the enemy! Transport yourself and your fellow gamers into a variety of different battle scenarios, and enjoy a series of quick-changing game modes. This energetic, non-lethal tactical combat adventure is open to kids and adults of all ages.